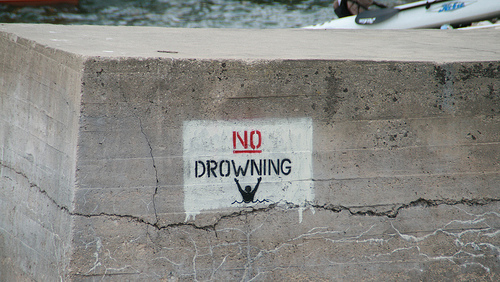 Okay, we hope it’s not quite that . . . Even as negotiations continued between the city fathers of San Francisco and the America’s Cup Event Authority, with Stephen Barclay as the lead, Oracle Racing held a media day on Tuesday—I suspect the sailing team would rather have had the time for other business—and my takeaway was a comment from Russell Coutts that he knows of a fourth challenger who has begun work on an AC72 catamaran for the 2013 America’s Cup match. We’ve downsized from the total of nine or ten AC72s that were thrown out as pie in the sky soon after the big trimaran won the America’s Cup, and we’re even downsizing (most probably) from the six challengers that more sober observers were guesstimating at the same time. But a fourth AC72 team in 2013 would be bigger than add-one. It would mean three pairs of raceboats on the water at a time, two pairs of challengers in the Louis Vuitton Cup plus the Defender’s two boats in what will be not exactly a Defender’s Trials. But it will be a trial all right to be prepared to keep the Cup in the USA. Compared to Valencia in 2007 where there were teams that wouldn’t have held up in the regular run of Grand Prix competition, 2013 promises to kick off with an instant Final Four. And a long Final Four season they will have of it. It’s unlikely that a fourth challenging team (GreenCom?) would prove as strong as Artemis, Emirates Team New Zealand or Luna Rossa, but it is even more unlikely that anything less than a battle-hardened tough case will emerge to contest the America’s Cup match in September, 2013. Is it good news if we don’t have more challengers? Of course not. At the gateway to the Orient we should have Korea and China. In a multihull format we should have France. But could a China-brand team of Western sailors actually transform itself into a team of Chinese sailors between now and 2013? Of these three countries, only a French team would be likely to apply meaningful pressure in the Challenger eliminations. To my surprise, the downsizing of expectations took six days to hit the local press, counting from the meeting of the Budget and Finance Subcommittee of the SF Supervisors last Wednesday. Pity the bloke on the street who thinks that this is news you can use, but, in the San Francisco Examiner we find Supervisor John Avalos fretting over the “disappointing turnout for a November event in San Diego.” Dude, it was November, and it was San Diego. That town ignored the racing even when it had the Cup. I could explain at least some of the reasons why in both instances, but you have to buy the beers and be prepared for a long sit. In the same piece we have Aaron “oops, lost my political base” Peskin declaring to the San Francisco public that, “There’s no history of sailing regattas being a mass spectator sport in San Francisco or the world.” So let’s play a little game. Where’s Aaron? Not in that picture, shot casually during the Louis Vuitton races in Valencia, Spain and easily duplicated by aiming the camera in any direction on any day from mid-calendar forward. Or before that in Auckland, New Zealand. Or in Fremantle, Australia. Never in San Diego, no. Not San Diego. So, Aaron, I’ll be happy—if you ever regain a political constituency—to explain at least some of the reasons why, but you have to buy the beers and be prepared for a long sit. There’s probably another meeting today, Wednesday, for the city to present its proposals. Meanwhile, it is impossible for the bloke on the street, or me, to put a valuation on the matters at issue. Conspicuously, that is ACEA’s recently-surfaced desire for an after-regatta lease on Pier 29, the public space pier joined to the Cruise Terminal to-be. Both sides have made occasional doomsday predictions about how the city could lose the Cup, and the Cup could lose the city. But I don’t see it. 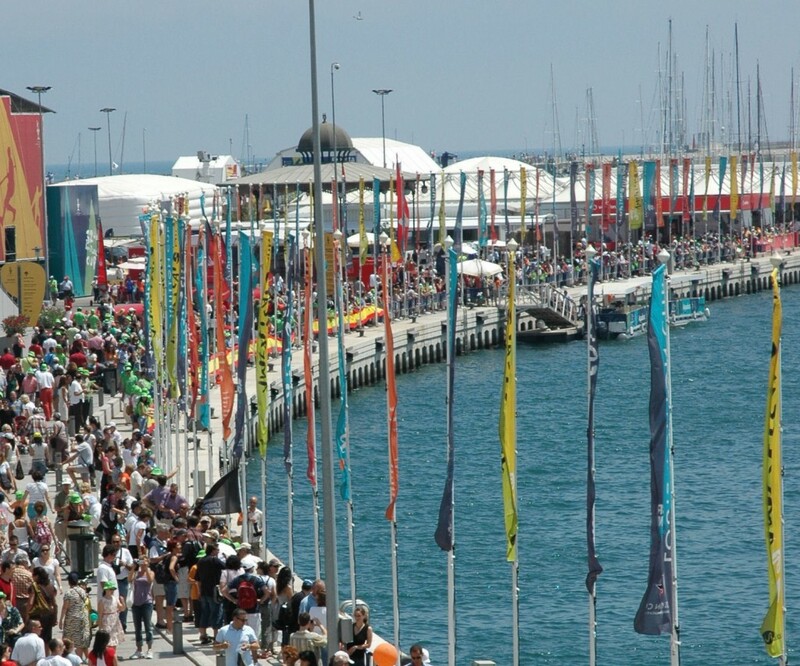 It would be possible to run a viable America’s Cup event from Pier 80, at the foot of Cesar Chavez. That’s the present Oracle Racing base, and it will be the primary base for racing this August and/or September when the one design AC45 fleet comes to town on the last leg of its 2012 tour. Retreating from the touted tourist-friendly, locals-friendly, renovation-desperately-needed downtown locations to remote Pier 80 would be a pity all around. But the city of San Francisco would lose more than the event. The hulls for Oracle Racing’s first AC72 (but not the wing) are being built in the team’s gigantic shed at Pier 80. They let us go in, through this door . . .
though without cameras, on the argument that digitized photos could be fed into software that would analyze them down to the nth degree on behalf of the enemy. 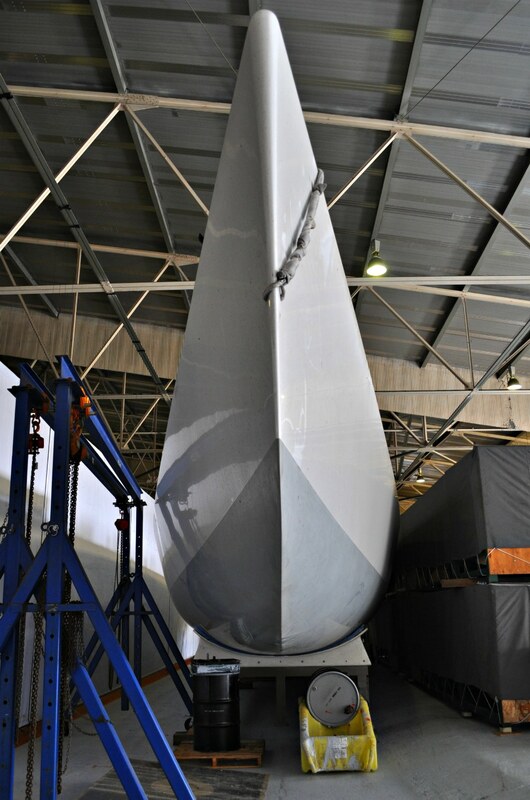 Inside, I gazed deeply into a half-mold for an AC72 hull. I studied. I pondered. I can tell you (but don’t tell anyone else or I’ll have to kill you) that it’s skinnier in front than in back. Sitting nearby, not in a secured zone, was this thingamajig that is not unlike a catamaran hull . . . 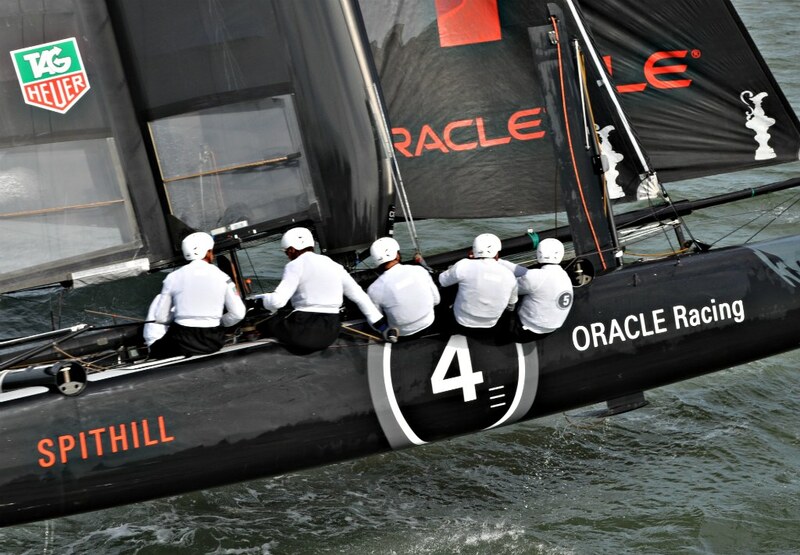 Which I suppose, but do not know, falls into a category not unlike the L-turn daggerboards with the little bullets on bottom that both Oracle Racing tri’s were carrying in their demonstration sail (AC45s race with one-design straight daggerboards but can test-sail other configurations). I figure, if they liked them, they wouldn’t be showing them to us.